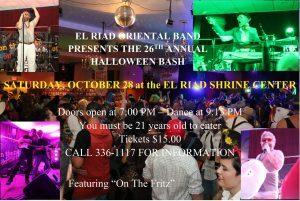 We are excited to work with the El Riad Shrine as our hosting venue! Not only is their venue space amazing, but they do so much for others! We have enjoyed getting to know these great guys and look forward to a long partnership for years to come! 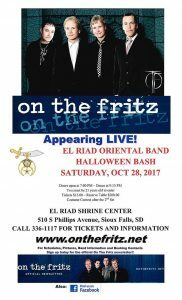 Call 605-336-1117 for Tickets or Information! 2017 Zombie Walk Charity: Ladder of Smiles!